After skipping 2016 and 2017, Square Enix is again holding its own press conference this year, the publisher said today. Is it time for Final Fantasy XVI? 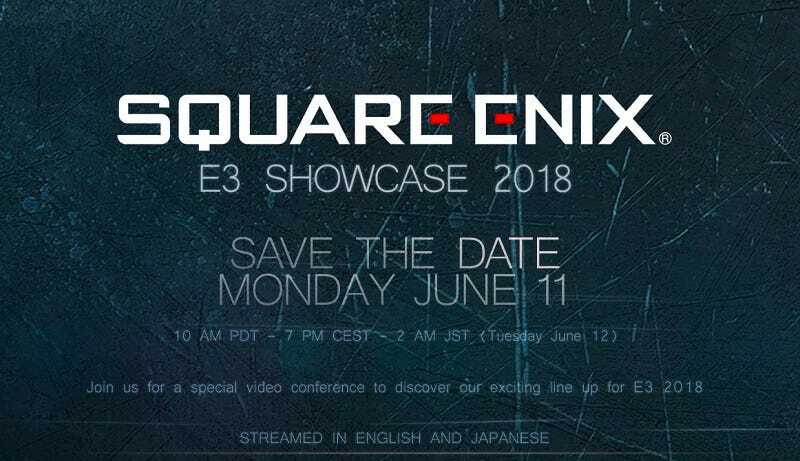 Square’s presser will take place on Monday morning at 10am PT, just before Ubisoft’s at 1pm PT. It’s safe to say we’ll see Kingdom Hearts III, Shadow of the Tomb Raider, and Dragon Quest XI, but what other surprises do they have in the works? Will we get our first peek at the new Avengers game? More info on the Final Fantasy VII remake? PC ports of Final Fantasy V and VI that don’t look like garbage? Stay tuned.